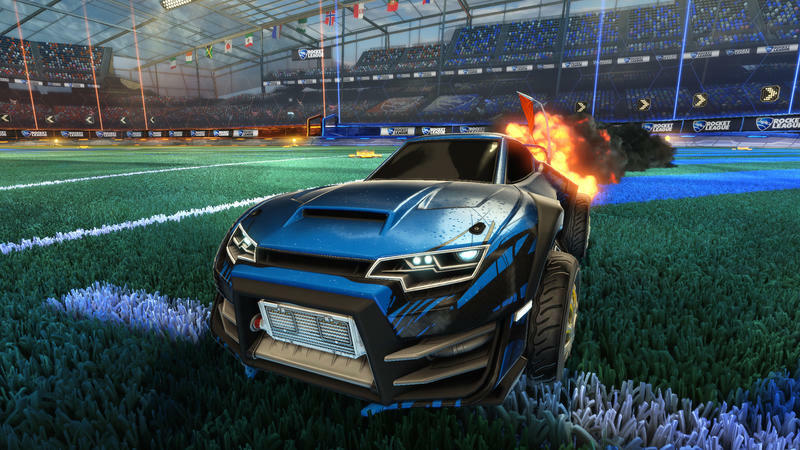 Rocket League is all a lot of gamers are talking about these days. The crazy soccer racing hybrid has been downloaded more than five million times on the PlayStation 4 and PC since its release three weeks ago, and now we’re here to report on its first bit of DLC. 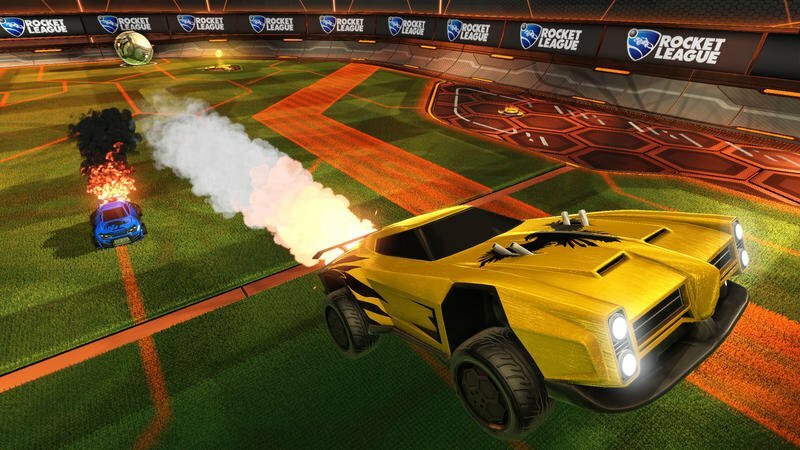 Supersonic Fury has been announced by Psyonix, the team behind Rocket League. It’s coming to both the PC and PlayStation 4 platforms this August, and there will even be a free update aside from the paid DLC. What does the for pay bit have to offer? Well, it’ll sell for $3.99. Here’s exactly what it boasts courtesy of Psyonix on the PlayStation Blog. The Supersonic Fury DLC Pack includes two brand new Battle-Cars: the over-the-top American muscle car Dominus, and the souped-up Japanese street racer Takumi. Both of these vehicles offer six different Decals for Garage customization (12 total) and are only available for play in the DLC. 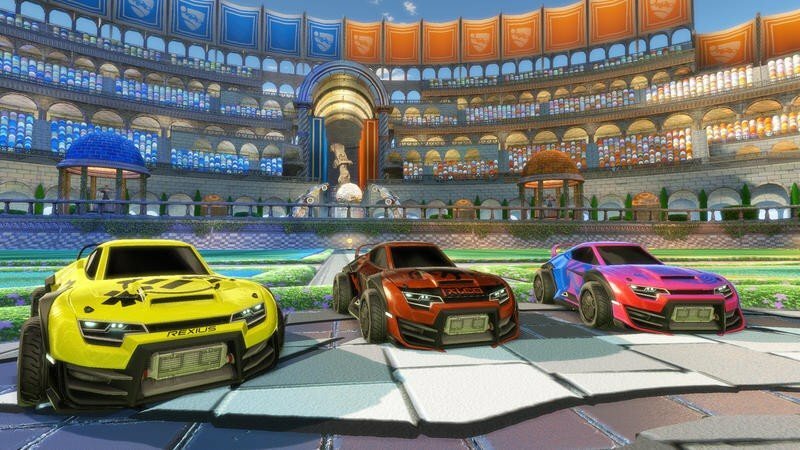 Besides the new Battle-Cars, the DLC Pack also includes two all-new Rocket Boosts (“Nitrous” and “Burnout”), two new Wheel sets (the soccer ball-themed “Cristiano” and the very-cool “Spinner” set), five all-new Paint Types (“Brushed Metal,” “Carbon Fiber,” “Metallic Pearl,” “Pearlescent,” and “Wood”), and a handful of new Trophies. This entire collection will be available in early August for $3.99. Great. What about the aforementioned free bits? 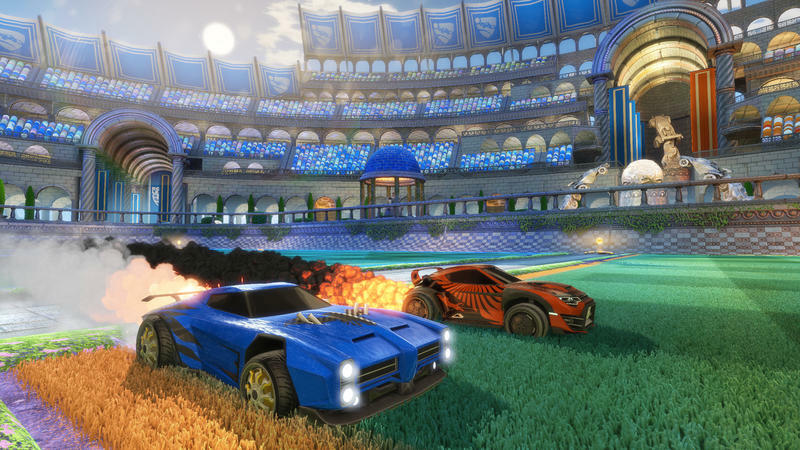 Well, Psyonix is set to offer a new map, spectator mode, 70 new country flags and more. All of that will comes as an update at no additional cost. You know what? I like it. I like that those who don’t want to pay will have extra content to fiddle with, while those who do will get more for a very cheap price. I’m fine with this. 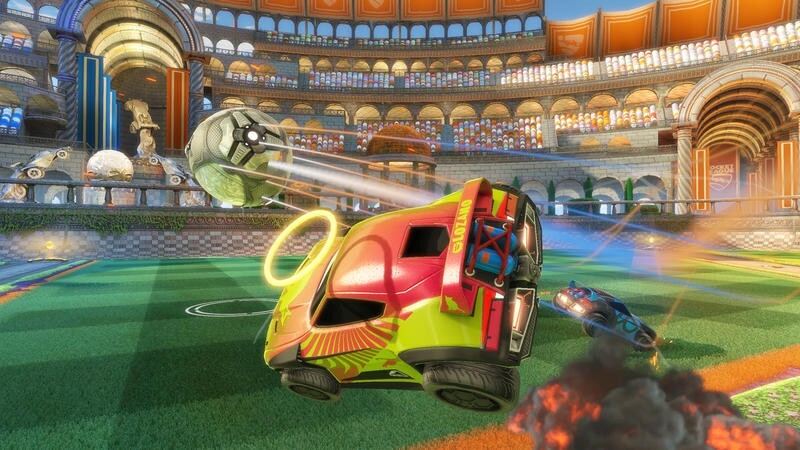 We’ll have more on Rocket League as it comes.